Centre Manager, Managing Director of Bespoke Injury Management & Senior Sports Therapist. 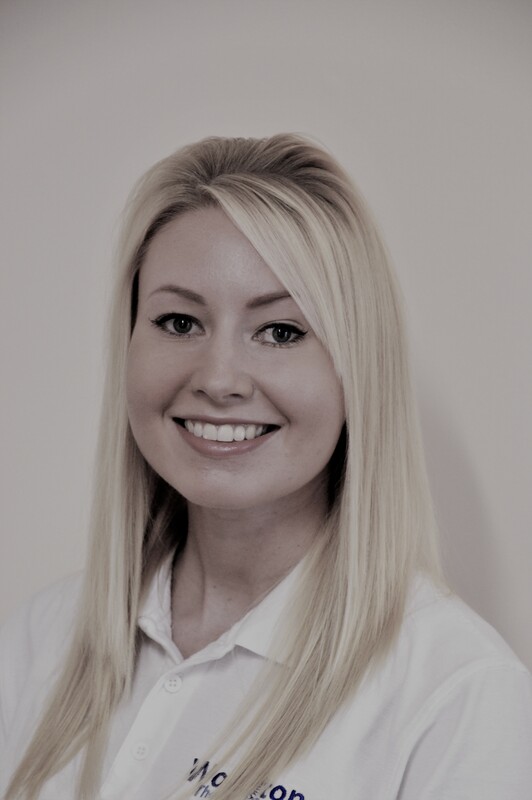 Donna has a BSc (hons) in Sports Therapy from the University of Northampton. She has extensive experience with athletes ranging from professional to amateur. She started the unique sports injury clinic in 2010 and since then it has gone from strength to strength. She brings with her the most up to date techniques and works hard to reach her clients goals. Donna joined Rushden and Higham RUFC as the clubs Sports Therapist in 2011 providing treatment and rehabilitation at training and matches. She works with all ages at the club and enjoys the team side along with working privately. She is part of International motorcyclist Maria Costello’s Racing support team, and works very closely with Northants County Cricket Club. Donna is a keen sports woman herself competing in ladies’ football at a very high level, she uses her own experiences to help understand and treat patients. She suffered a devastating injury in December 2015 rupturing her Anterior Cruciate Ligament and medial meniscus within her left knee. She therefore can sympathize with others who may be struggling with an injury both mentally and physically. If you would like to make an appointment with Donna, please call us on 01933 664444.